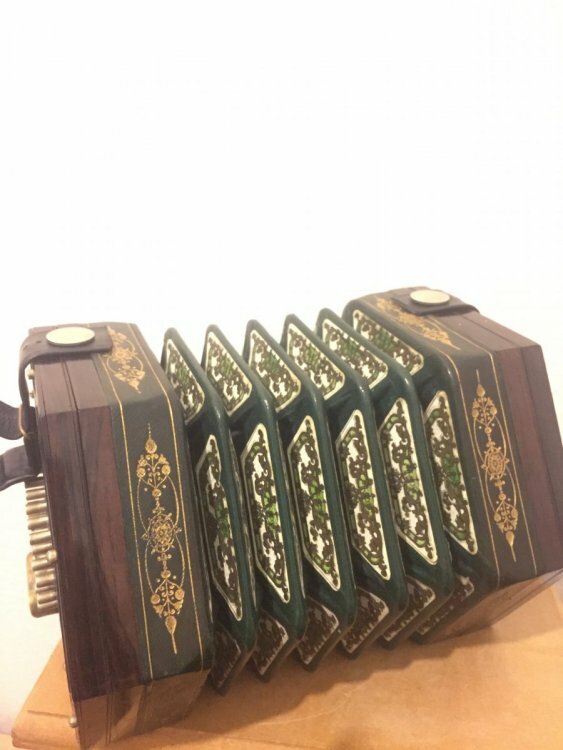 Never really planned to sell this concertina, but I thought I’d just put it up for sale to see if someone is interested. I’m not in a rush to sell it either. 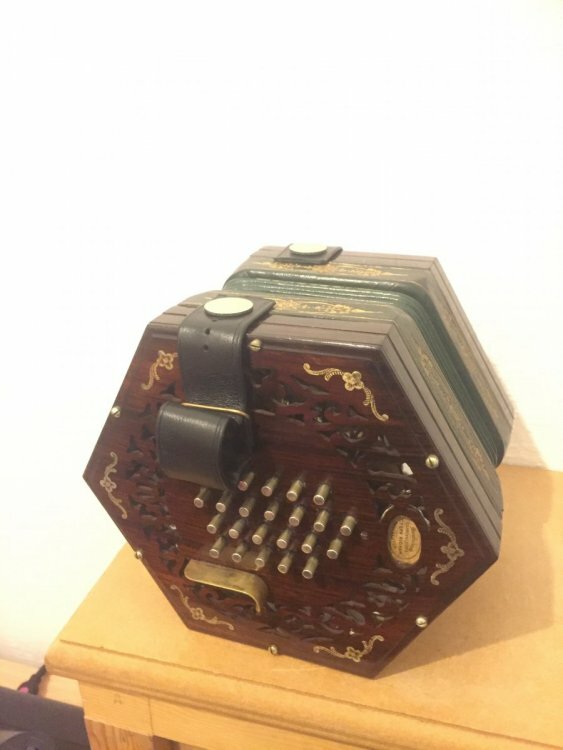 It’s a Lachenal 48 key english concertina. I’m not too sure if it’s the actual inimitable or not, but regardless of that, it plays beautifully. It has brass reeds, but it doesn’t sound too quite - a bit louder and certainly better than any tutor model in my opinion. 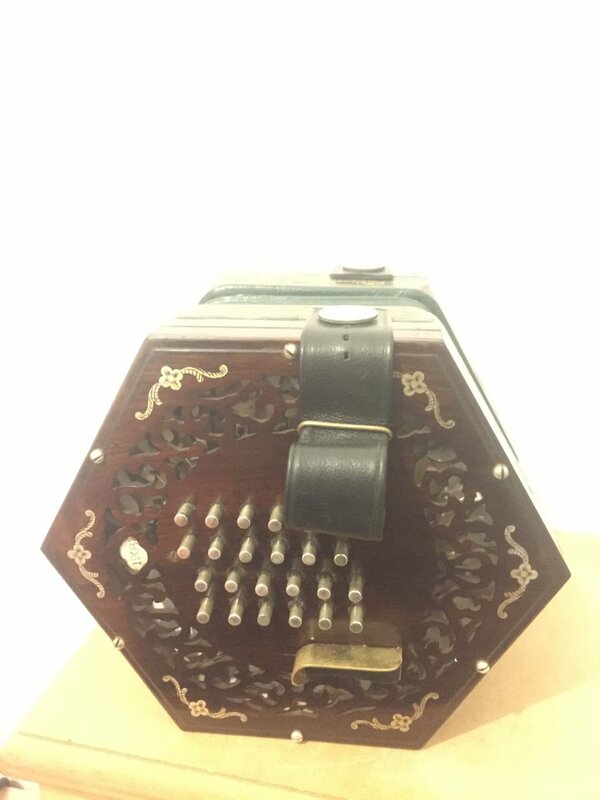 It’s fully restored and tuned to concert pitch A=440Hz so in terms of condition it’s excellent. Cosmetically, it’s in immaculate condition, no signs of wear use whatsoever. The bellows are in excellent condition with a nice compression and no air leaks at all I don’t wanna say it’s like “new” (because it’s a vintage instrument obviously) but there absolutely nothing faulty and anything that affects the playability. If you are interested please message me for the price. Postage within the UK is at £14.99 special delivery. Can ship worldwide at the buyer’s expense. I could possibly consider trade ins.